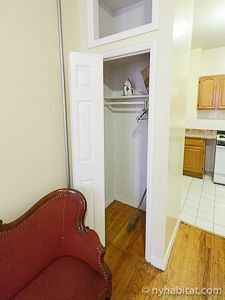 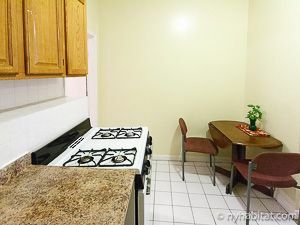 Behold the wonders of Bedford-Stuyvesant, Brooklyn with this studio apartment! 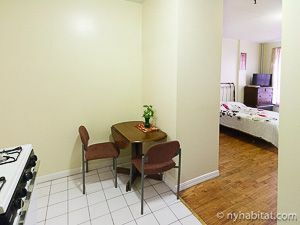 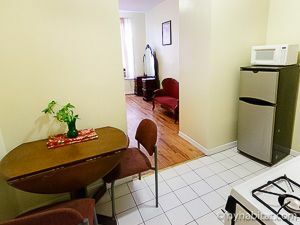 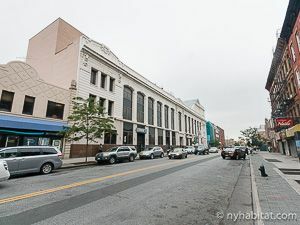 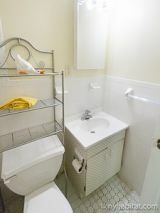 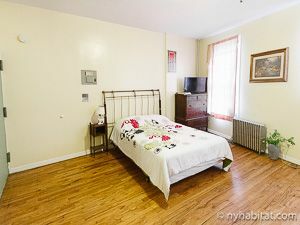 Located at Fulton Street & Marcy Avenue, this fully furnished rental can be found on the 2nd floor (European 1st floor) of a low-rise with a security system and southwestern exposure of the street. 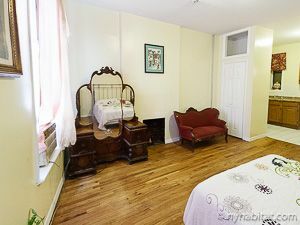 This New York apartment is furnished with simple eclectic décor in a building that offers early 20th century charm. 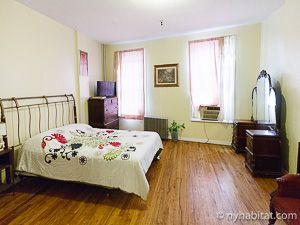 Enjoy the hardwood flooring, as well as the decorative fireplace in the main living area. 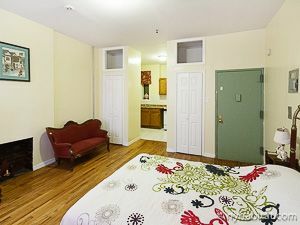 You will also find a full sized bed and sofa for maximum comfort. 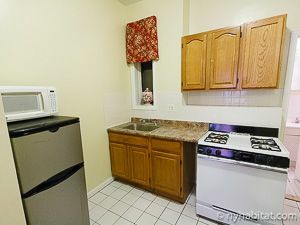 Head into the kitchen to find fully equipped appliances, including a fridge, oven and microwave. 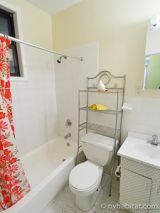 Unwind after a long day in your bathtub, which also is equipped with a shower. You will find closets and dressers in this apartment for ample storage.